Before you were born ... we loved you. Your pregnancy is a such an exciting time, filled with so much hope and anticipation. As a mom I know that even when people tell you this is the time a woman is at her most beautiful, there are days when you may not feel it. But don’t let those days stop you from celebrating this special time because once it has passed the images we take will be ones that you cherish. With the right posing and lighting, we’ll capture your beautiful curves and show off that gorgeous bump! And what an incredible keepsake for your child to treasure one day! It’s best to do your maternity photos when your bump is big enough to show off, but also while you’re still feeling comfortable. I find that this is usually between 32 – 36 weeks. The most important thing is for you to feel comfortable. And of course, whatever you wear should show off your beautiful bump. Neutral colours and clothing without big logos or prominent patterns work best. I also have some maternity dresses and beautiful wraps that we can use. 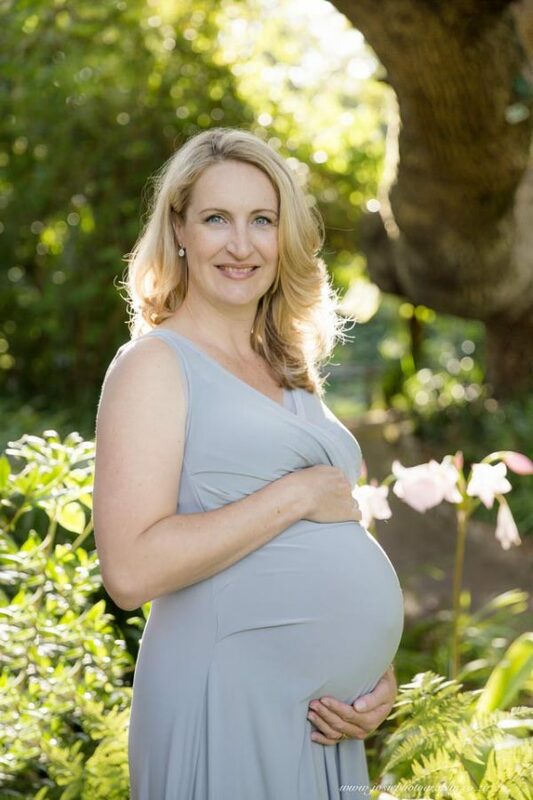 Natural light in a beautiful location (of which we are spoilt for choice in Cape Town) is just gorgeous for a maternity session. My favorite time of day is either just after sunrise or before sunset. Once you’ve made your booking, we can decide on the best time of day and location for your session. If you would prefer to do a studio session, this is also an option. If you would like to have your hair and make up done by a professional make up artist, this can be arranged at an additional cost. Not only will you get a little pampering before your session, but you will feel just a little more confident in front of the camera and it will make your images even more gorgeous. If you would like to combine your maternity session with a newborn session, you will receive a 15% discount. I also offer an exclusive Year In The Life Of … package, which photographs your baby’s first year with a beautiful book to preserve the memories forever.